Apple has recently announced their competitor for Amazon Echo and Google Home – the HomePod. Oh, wait. 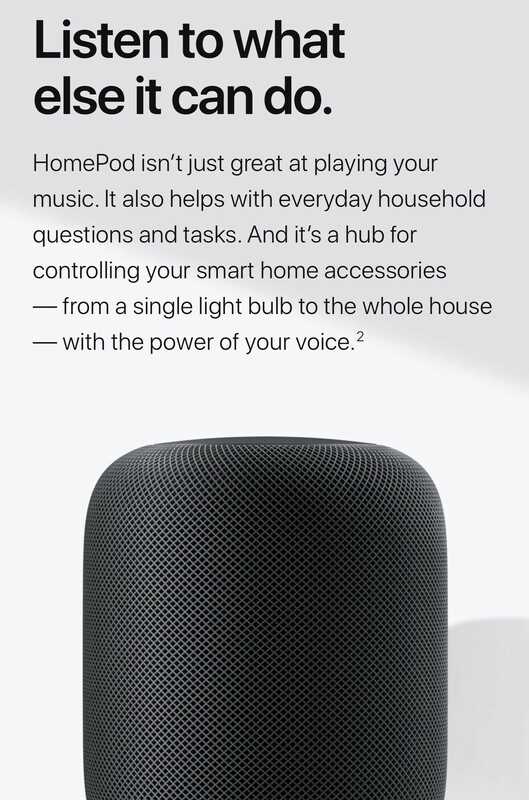 Isn’t the HomePod a fancy, cool, smart wireless speaker and the others are home assistants? Yes, you are right. And why has Apple launched it as a speaker and not as a home assistant if we know that, in the end, they’ll be competing against each other? Welcome to a great example of brand positioning strategy. 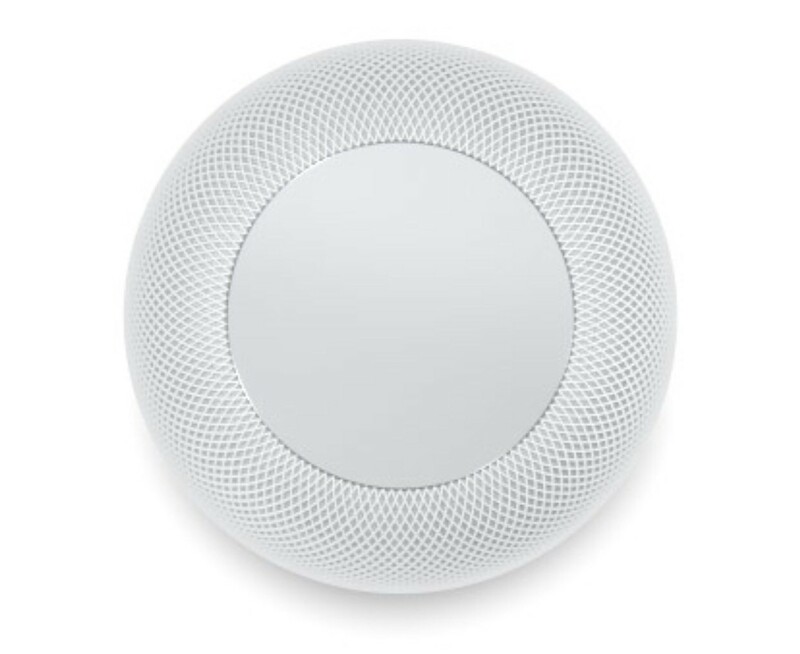 HomePod, a speaker or a home assistant?! Apple is late to the party. Something that has never been a problem to the brand. Indeed it has grown immensely due to their innovative power, launching new products ahead of the competition. But it has also developed products that weren’t the first in the market, but tackled it in a completely different way, combining the whole system surrounding the customer experience and delivering an outstanding UX. That was the case with the iPod, which wasn’t the first MP3 player in the market, and got its real power through iTunes, that disrupted the way we could consume music. Even the iPhone wasn’t the first smartphone in the market. I for once had an HTC smartphone at the time, and it was pretty amazing already. Nothing compared to what was being launched later on by Apple, off course. But the competition has been studying Apple and learning from them for a long time now (and players from all other markets have been doing that as well). Design as a fundamental component in the product development. Users in the centre. The whole experience being carefully considered. A Human Centred Experience Design process. Even though, I believe Apple has yet again taught us an important lesson about product launch and positioning. Who needs a personal assistant? What do we use personal assistants for at our house? Switch on the lights? Set the heater? Play your preferred music? Ask about the weather? But, knowing that voice activated interactions can be the next step is different than adopting that new behaviour of talking to your house when you arrive home. We’re still experimenting the personal assistants around our phones. And yes, Siri has the reputation of being way behind Google and Alexa in its power of recognition. 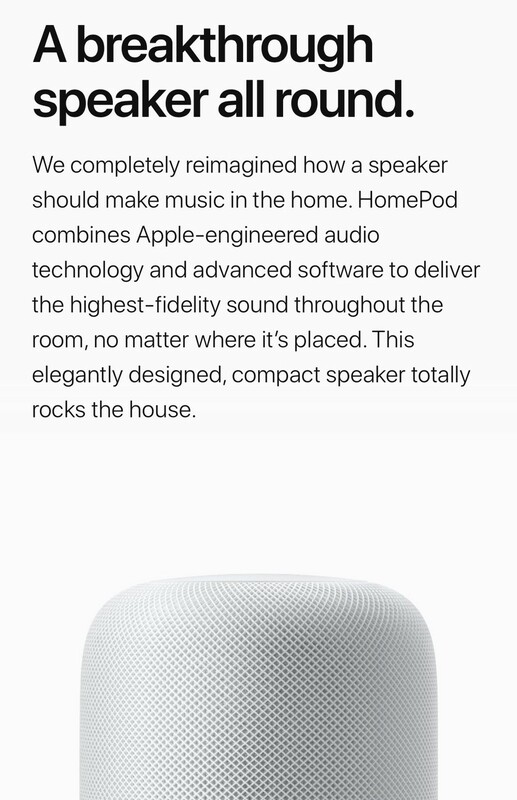 Even so, with HomePod, I believe Apple is setting their foot in our future home. Maybe even more than the existing home assistants, that have better technology and systems. So what makes Apple’s move so interesting in my point of view? 1. Let’s start with Immediate Value. To be considered by the majority of the people you have to be perceived as valuable. Home Assistants are in its early adoption phase, thus being for few technology enthusiasts. It’s more of a gadget with no existing value that can be felt immediately rather than the playfulness of experiencing the future right now. Apple has become a mainstream brand (despite its price). And they thoroughly understand their audience enough to know that music is a ubiquitous thing in everyone’s homes. And they understand about music. They have the reputation of delivering an outstanding music experience with the iPod and iTunes. That’s a territory that they have once owned and, besides Apple Music critics and Spotify enthusiasts (where I belong), I’d risk saying that they are still very strong in this area. So positioning their ‘future to be’ home assistant as an amazing speaker with spatial awareness capabilities and great sound is an instant upgrade to the common experience, bringing immediate value and a reason to buy it. But wait, there’s still more. To enhance the music experience, you have voice activated commands and even a smart mind behind it giving all the musicology information you don’t need. But it’s still a worthy upgrade I can picture it in my life right now. Behavioural psychology can explain that we are naturally averse to changing our behaviours. In fact, changing a behaviour is a very difficult and time-consuming process. It requires effort. Learning curve. Dealing with anxiety. You don’t change a behaviour in leaps; it takes continued baby steps to get results. How do you think a voice controlled personal assistant fits in our current habits? It doesn’t! It’ll take time to get used to it. It will take a lot of effort and learning by users and especially developers to get it right. To make it feel natural. But coming back to the change of behaviour, again Apple’s strategy of positioning its product as a speaker takes the friction out of the decision process. You’ll listen to your music in an amazing speaker, well designed, that will always deliver the best sound quality for the environmet you’re in by not only not bringing more effort to your life but also removing the need to set up your device. It’ll do it automatically. It is spatially aware of your environment. So now a lot of people have good reasons to buy HomePod. Not the early adopters but all the mainstream users of mobile phones. There is enough immediate value to change your existing speaker without changing your behaviour. But you still have the opportunity to play around with new behaviours by using the musicology feature and the voice commands. And while a lot of people do that, many more people than Amazon Echo’s and Google Home’s owners, Apple learn about your behaviour. They learn about your habits, how you interact with the product. So what, that Siri isn’t the best system yet? They’ll slowly evolve their system using real data, testing small improvements and having a delivery channel widely spread out in millions of houses. Ready to become a personal assistant at your home, when the time is right. A proper Trojan Horse tactic. A well-crafted brand positioning strategy. Have you been using a Home Assistant? Does it make sense? Do you think Apple will succeed with this strategy?